The compactly built SCR18U is an affordable, yet reliable and effective smart card reader/writer. It can be easily integrated into a secure PC environment as well as other systems in a snap. 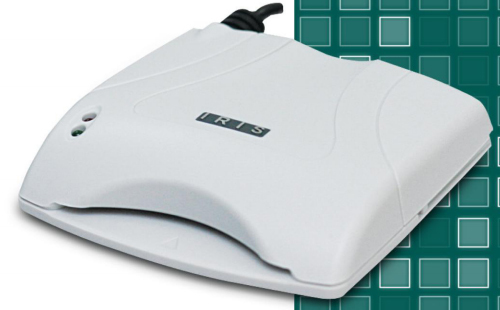 Further reinforced with CCID (Chip Card Interface Devices) functionality and software controllable access level, the SCR18U is an ideal partner for a broad range of applications utilized by financial/banking institutions, government agencies, enforcement agencies, healthcare industries and many more. • Compactly built, lightweight and ergonomically designed for easy handling. • Very simple to use and install since it is CCID and PC/SC compliant. • Able to transfer data at very high speeds with the use of USB. • Software configurable access level to further protect data read/write. • Extensive support for a wide variety of micro-controller and memory cards. A patient’s complete health record could be easily retrieved with the use of this device. By simply slotting a patient’s smart card, physicians can have a complete grasp of patient’s medical history which will help in drug prescriptions, treatment and follow-up plans. Application processing can be made easier and faster as applicants of loyalty programmes do not need to fill up forms. This can ensure faultless issuance of loyalty cards by eliminating problems usually associated with form-filling such as illegible handwriting, spelling error and typing error. Attendance MonitoringHuman resource personnel can use the device as a tool to monitor attendance and tardiness as well as track movements of employees to deter unauthorized personnel from entering any secured area. It could also be used for the registration of visitors. Telco Operator and TransportationIt can be used by the public transport sector for the purpose of issuing, loading and topping up electronic tickets. Telco operator can also use the reader for the purpose of issuance or reissuance of Subscriber Identification Module Card (SIM Card) issuance or reissuance without the need for subscribers to fill up any form.